We consider, (more on) I consider our day as our Valentine’s day. Since our second monthsary fell on a working day, we decided to celebrate it on weekends. It was Saturday and we started the celebration by taking dinner at Sbarro SM located at the ground floor. During that time, it was the 1st week of opening of Sbarro Pizza here in Davao. So, many customers flocked to the store that some food that we would love to eat were not available. We ended up ordering the Pizza Fiesta that is good for 4 persons but both of us were confident that we can devour it all. Not to mention that our favorite past time is eating! My partner in crime is not that adventurous as I am. He is a homebuddy who prefers to stay at their house and play computer games than doing outdoor activities. Loving as he is, he wants to be with me at all times. So, he had no choice but to accompany me in my everyday interests in life. It was his first time to eat at Sbarro. I hope he won’t kill me by writing this down in my blog. I’m glad to be at his side experiencing these first times. On that day, he had many firsts. After the sumptuous meal, we pursued to our next game plan which was to watch the trending Hunger Games. The movie was so cool! I love action movies; and good thing Diddy & I have no arguments with that. The film somehow was not able to encapsulate everything that was written in the book. Of course! What could you expect in a book-turned-into-a-movie story. It is always BITIN! Last stop was a very relaxing whole body massage at Body Bliss Matina. This was his another first time. I kept on teasing him that night that he has to thank the Lord for giving him a wonderful girlfriend who will make him experience the best and the worst things in life. Harhar! This is already a very late post. But better late than never! Happy day Diddy! Everyday is our Valentine’s day. Wherever you are right now, (I know that you are in the middle of the ocean fulfilling your dreams in life), always remember that you took my life away with you ‘coz you stole my heart. haha! Kidding! This is a picture of my parents sharing their beautiful love story at their 35th Grand High School Reunion. 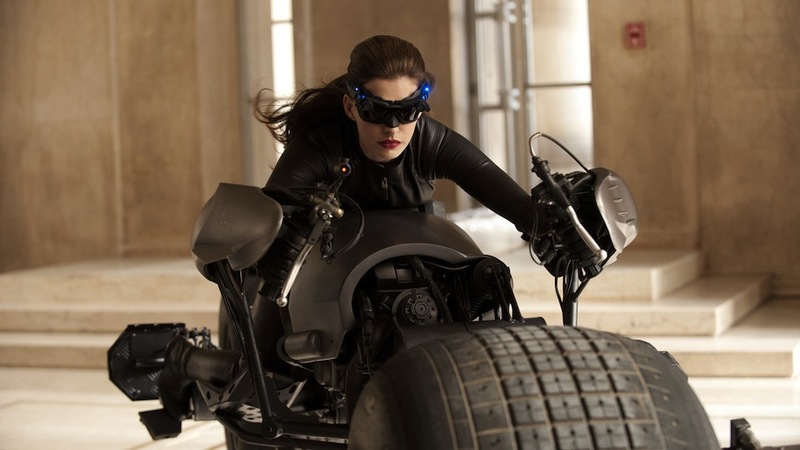 Anne Hathaway as the catwoman for the upcoming Batman movie The Dark Knight Rises? Uhhm–uh! It doesn’t suit her. Hathaway has a very sweet face and she’s too white. Too far from the personality of the bad feline. How about you? Who will you pick for this role? In an interview with Kevin Systrom, he shared two lessons that he learned from all of his experiences. a) Don’t give up so quickly if it’s something you actually enjoy. b) 99% of what I do on a daily basis I learned on the job — classes/majors can prepare you to learn on the job, but *doing* the work is where you learn what you’ll use every day. Systrom is the co-founder and CEO of Instagram, which has recently been bought by Facebook for $1Billion. Spitting as a crime: Aye or Nay? I say AYE! Kindly include littering of cigarette butts, chewing gums, candy wrappers and many many more. We all know that seeing a person spitting in public is not nice to look at. It may also contribute to the spread of airborne diseases like Tuberculosis and Severe Acute Respiratory Syndrome or SARS. Let us be hygienic and stop spitting in public. It is such an EIW action!